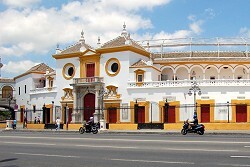 The charming city of Seville is the capital of the autonomous community of Andalusia and the province of the same name. It is situated on both sides of the Guadalquivir, which is navigable up to this point. 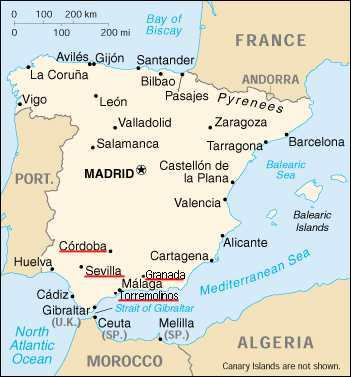 With over 700,000 inhabitants it is the fourth largest city in Spain. 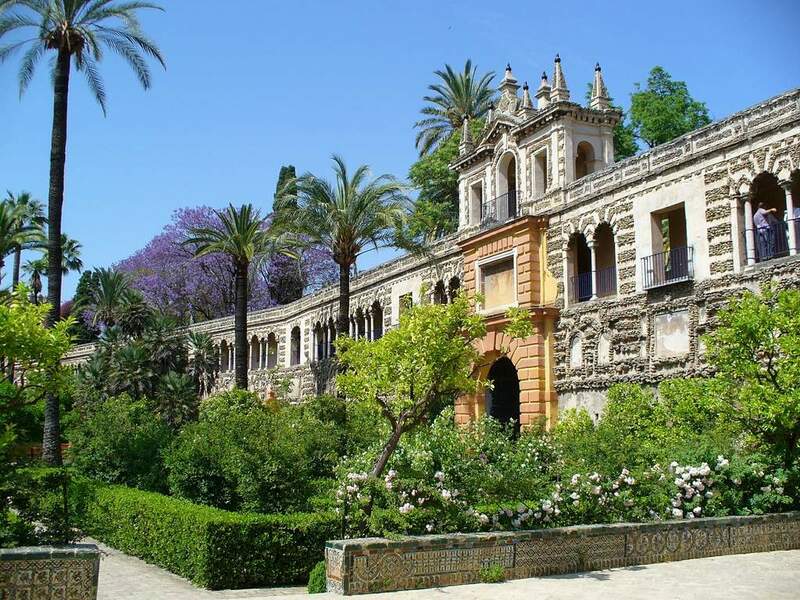 Seville was probably founded by Phoenicians about 3000 years ago. In the course of its history the city was ruled by various civilisations and still to this day, hosts an amazing cultural heritage. In 712 the Moors conquered the city and ruled it for 536 years, until 1248! 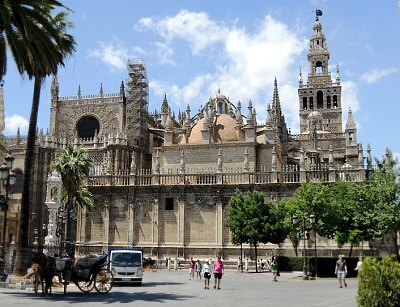 During this time Seville became the most important city in Andalusia. 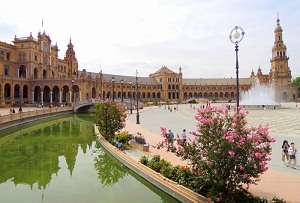 To the left you see the gorgeous Spanish Square, the Plaza de España, a huge half-circle with buildings continually running around and the Vicente Traver fountain in its centre. Along the walkabout therre are many tiled alcoves, representing different province of Spain as well as a canal with four bridges. The Cathedral of Seville is the largest Gothic cathedral and the third-largest church in the world and has a total of five naves! Beside magnificent grave sculptures from the Middle Ages, also the tomb of Christopher Columbus can be found there. The cathedral was built between 1401-1519 in the Gothic style on the remains of a 12th Century Arab mosque. The famous bell tower of the cathedral, known as "Giralda", was originally one of the minarets of the old Moorish mosque, built in 1196. It was once one of the tallest structures in the world and became the landmark of the city. Remarkably this tower can be ascended on horseback up to the gallery at 70 m height! Instead of stairs, a 2.50 m wide ramp was built with a height, that allows a faster ascent on horseback. Even though we are not friends of bullfighting, we found the visit of the Maestranza Bullring at Seville quite interesting. With its impressive yellow-and-white Baroque facade and beautiful 16th-century iron gates, built 1762 -1881, it is considered to be one of the finest in Spain and one of the oldest and most important in the world. The arena accommodates about 12500 spectators. The bullring houses also a museum, that gives interesting insights into the long tradition and history of bullfighting, highlighting legendary bullfighters. The exhibits include bullfighting costumes, paintings, photos, sculptures, bronzes etc. A guided tour is strongly recommended.